Stretchy "Magic" Gloves fit most sized hands for men and women. The gloves are called "magic" gloves because they stretch as they are made from 100% Acrylic. 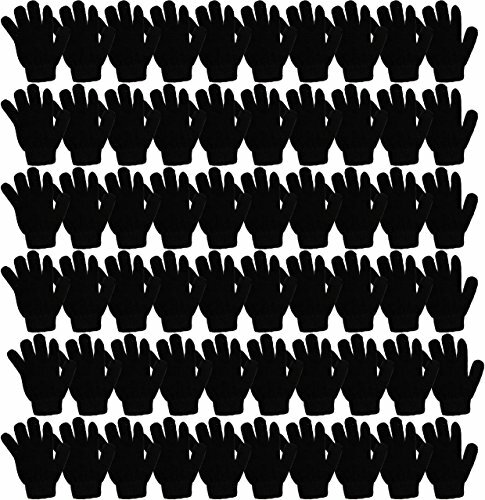 Bulk pack of winter gloves includes 60 pairs of assorted gloves. Wholesale lot at low pricing. One Size Fits All. Perfect for the winter time and keeping the hands warm. Elastic Cuff For Snug Fit. Great for gifts and stocking stuffer with a whole lot of gloves! Buy Gloves in Bulk to save more. Great for parties, favors, team uniforms, donations, and more. If you have any questions about this product by Wholesale Sock Deals, contact us by completing and submitting the form below. If you are looking for a specif part number, please include it with your message.